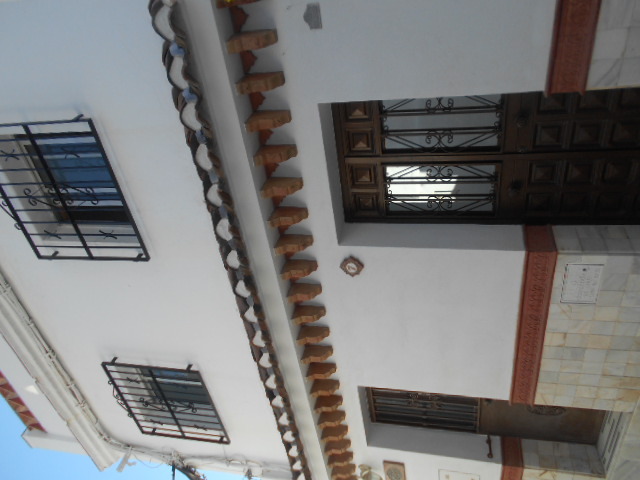 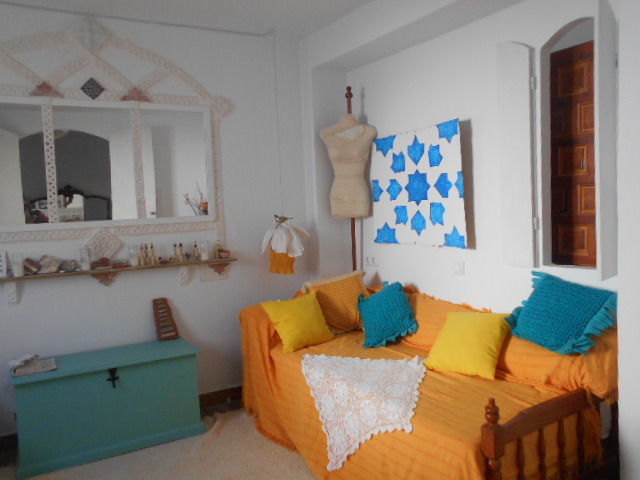 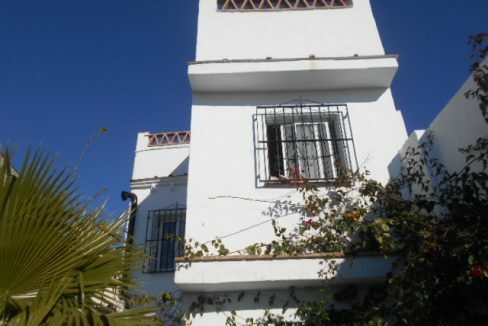 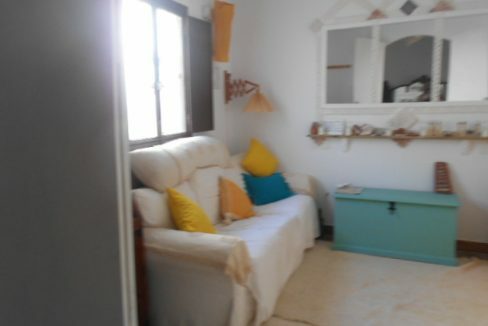 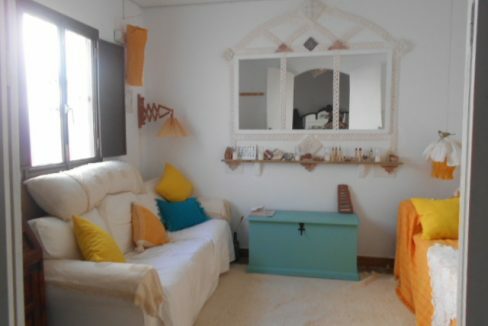 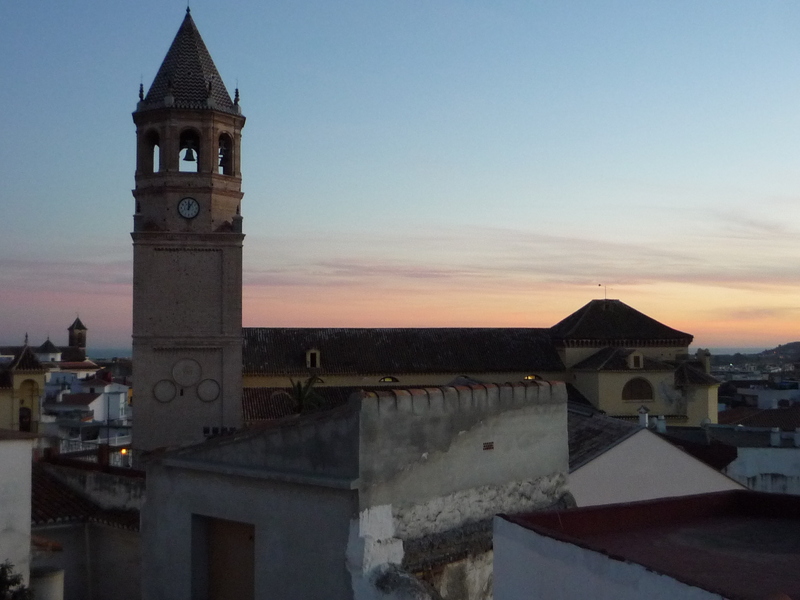 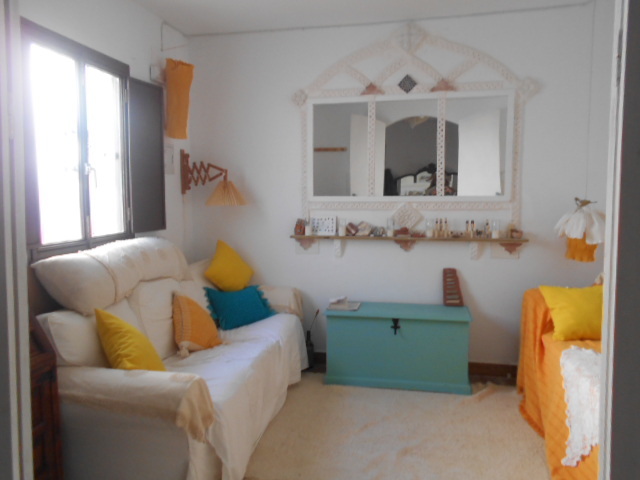 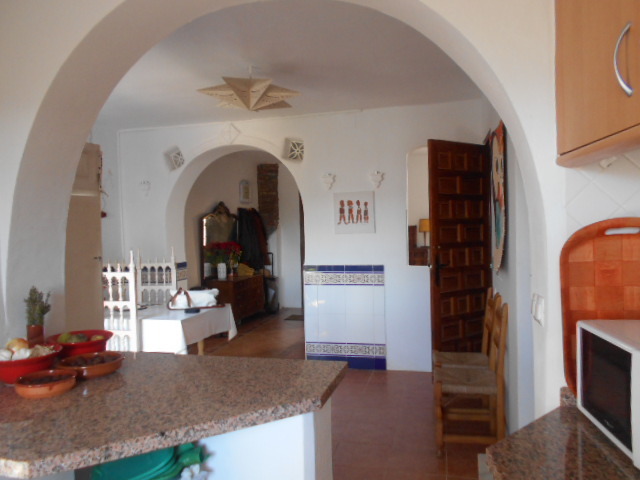 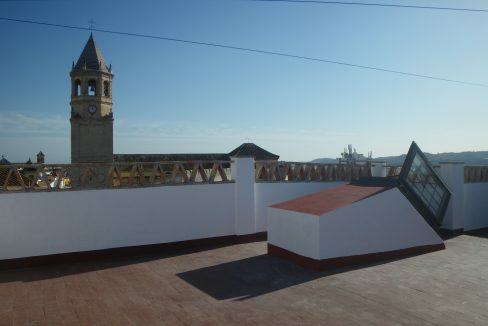 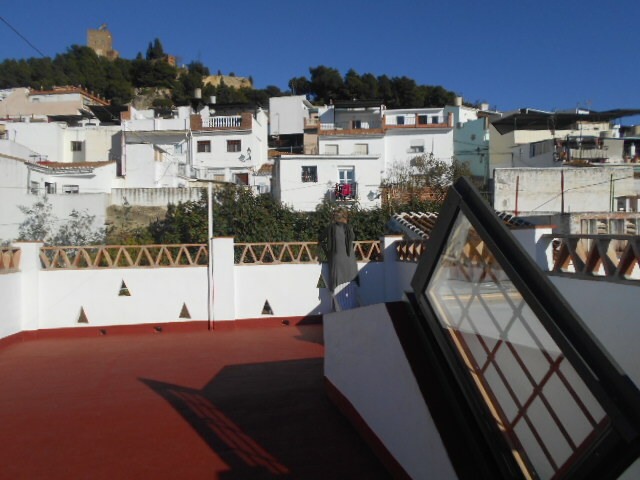 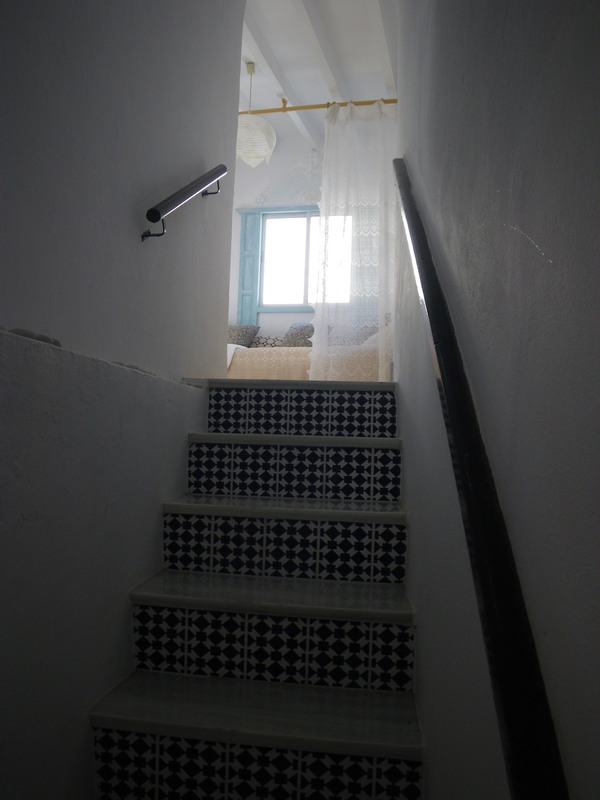 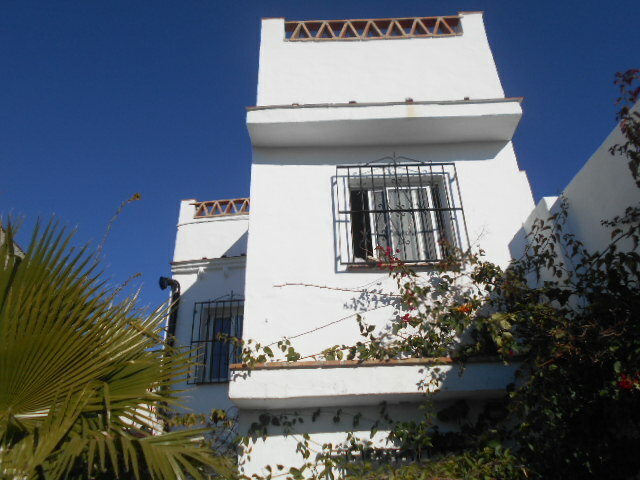 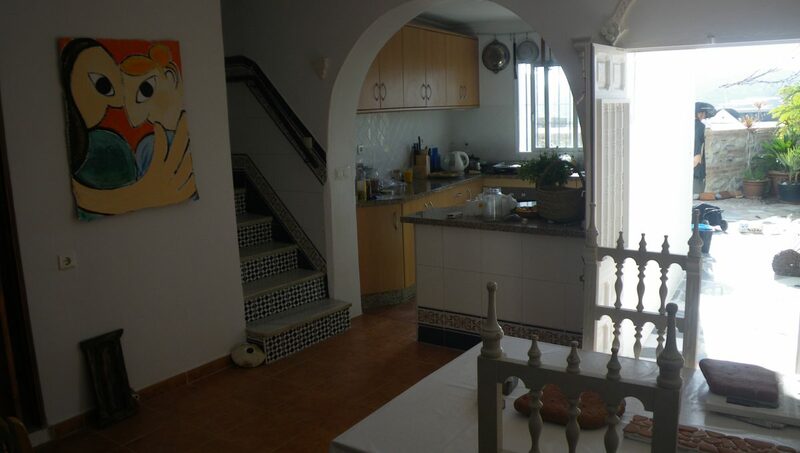 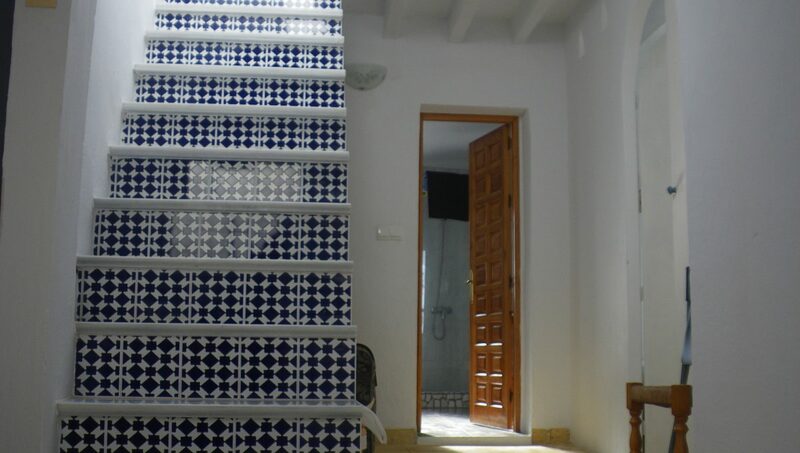 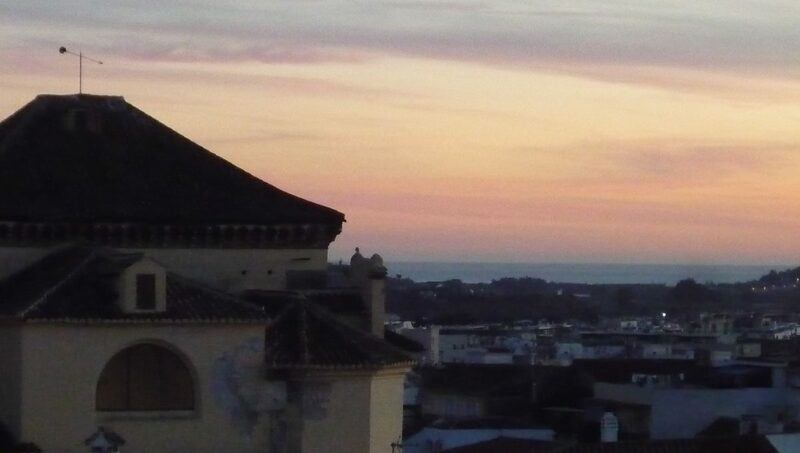 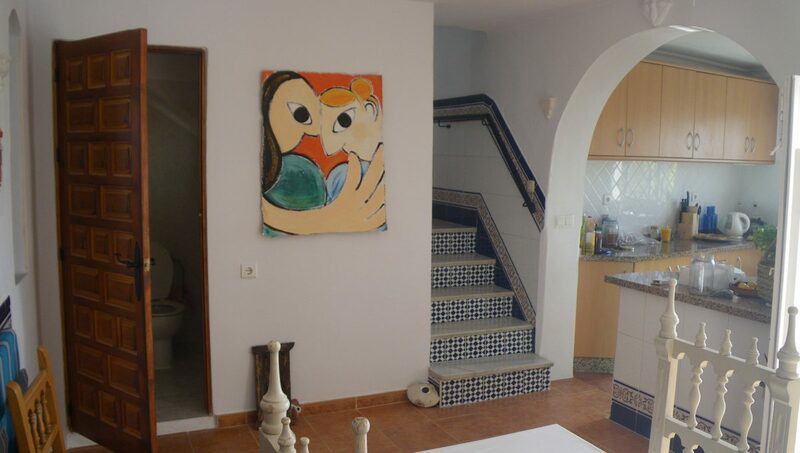 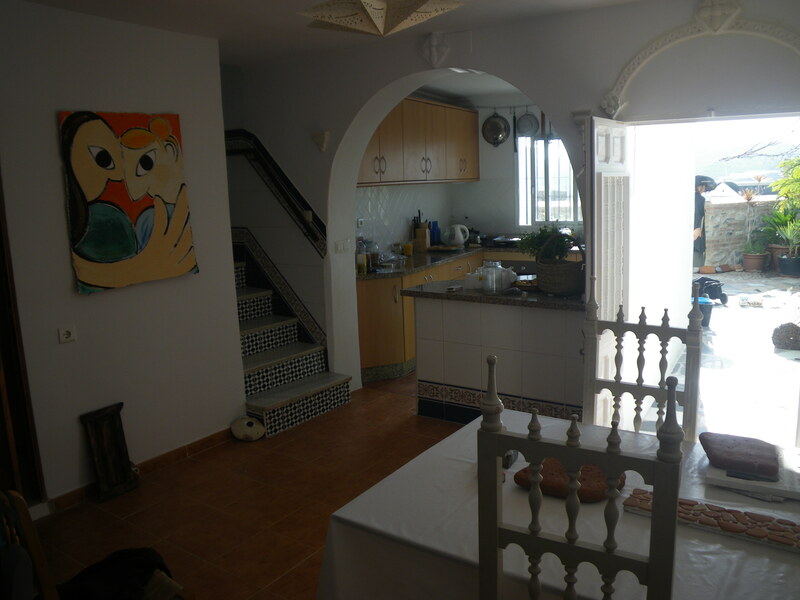 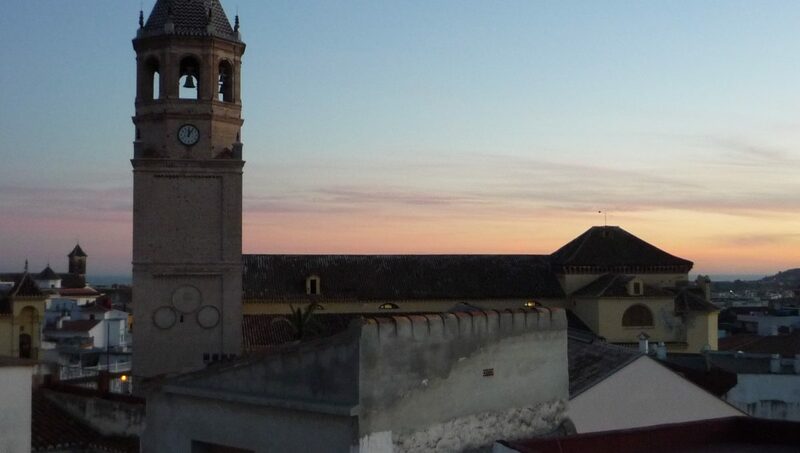 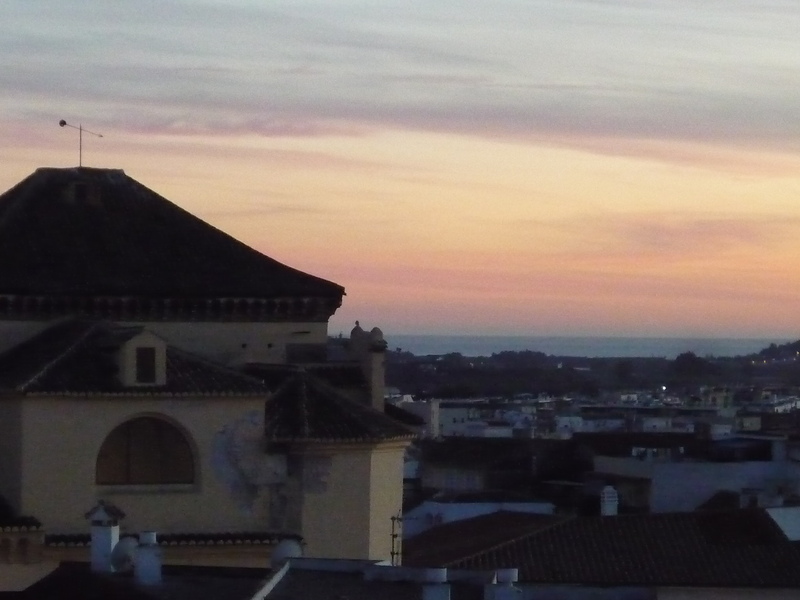 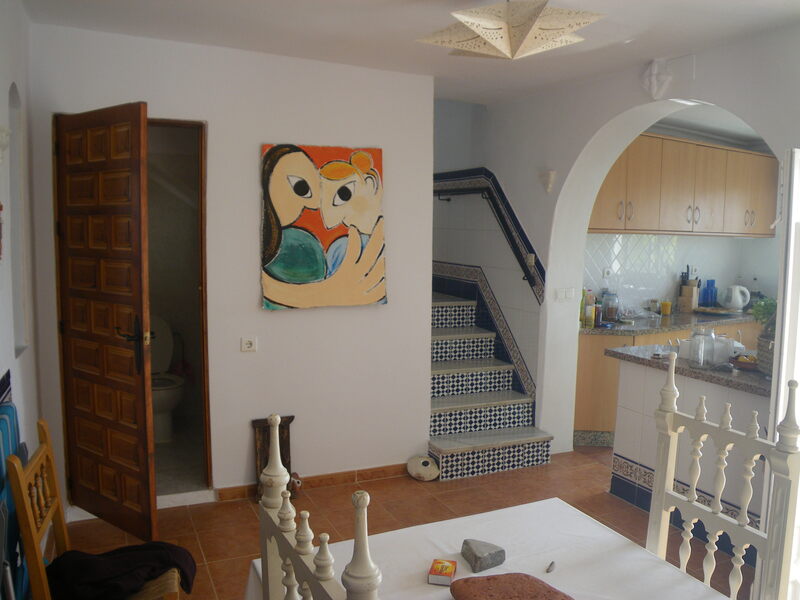 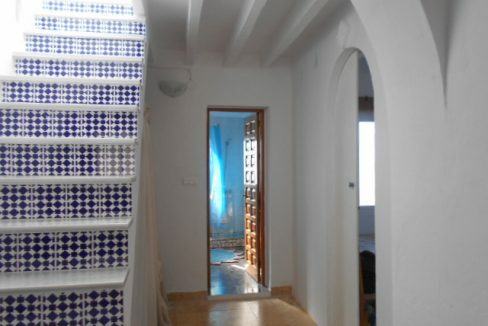 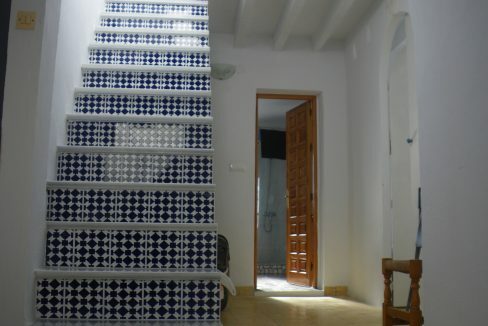 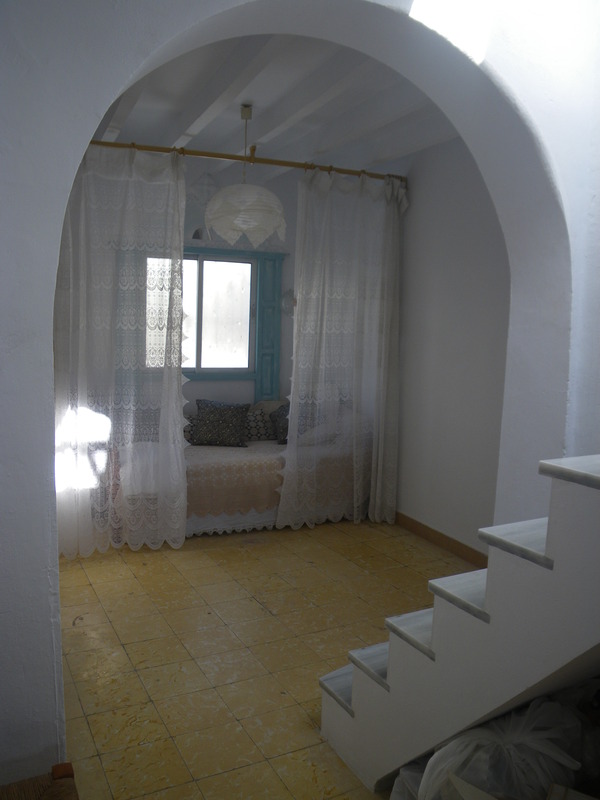 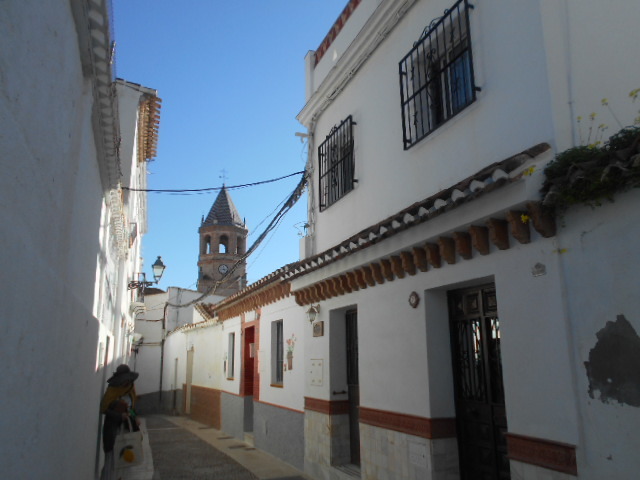 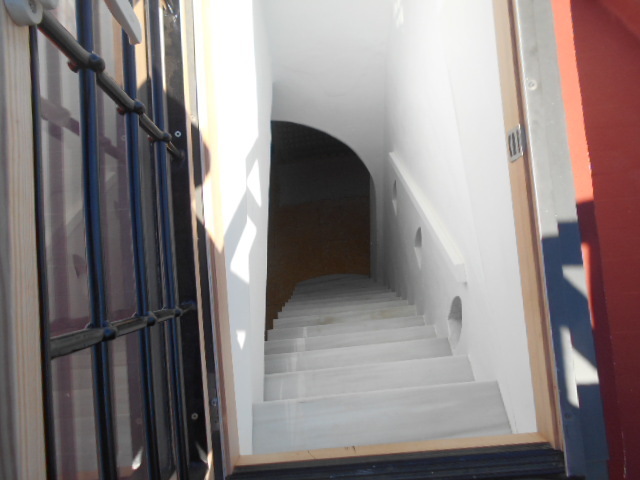 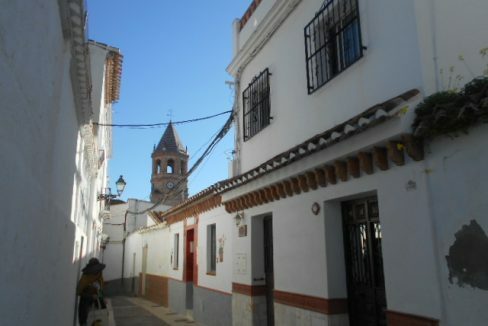 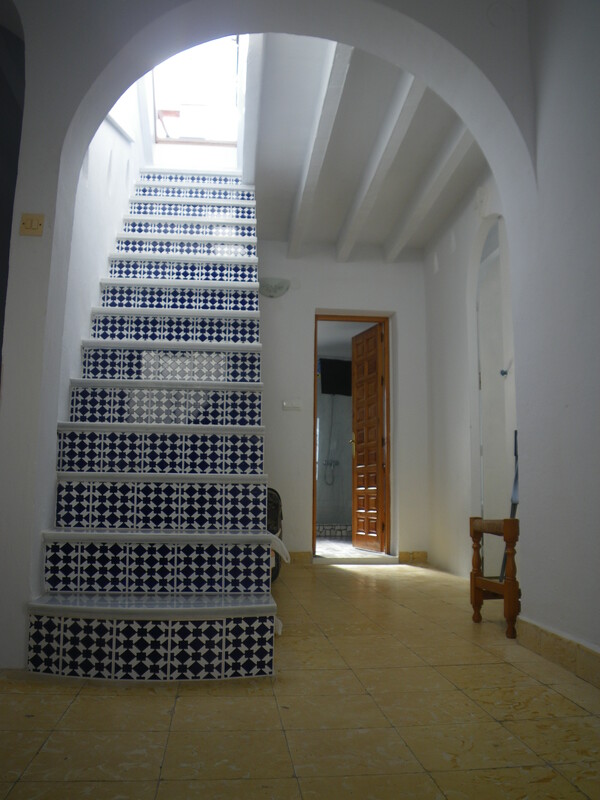 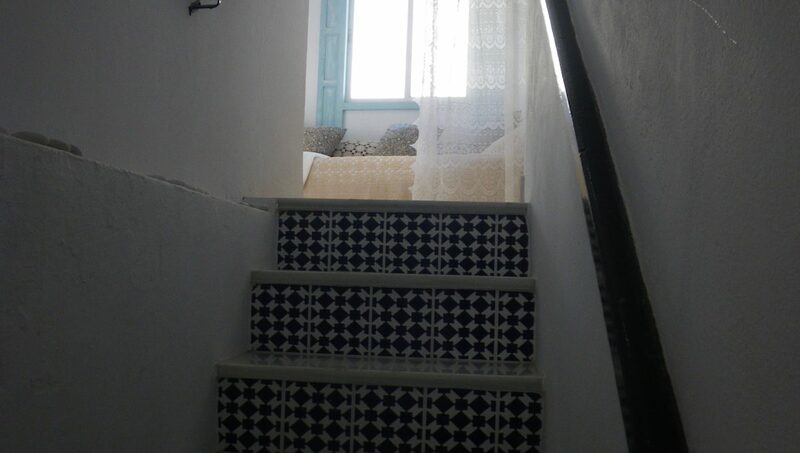 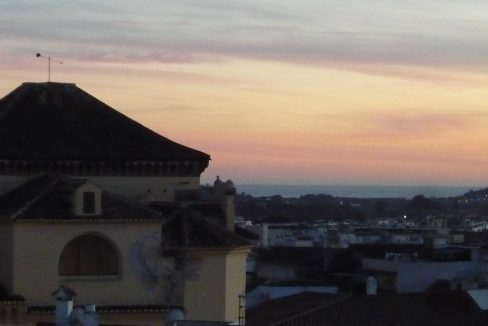 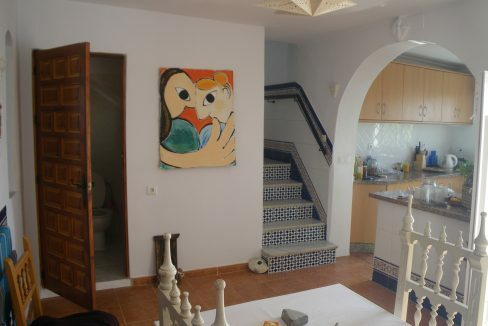 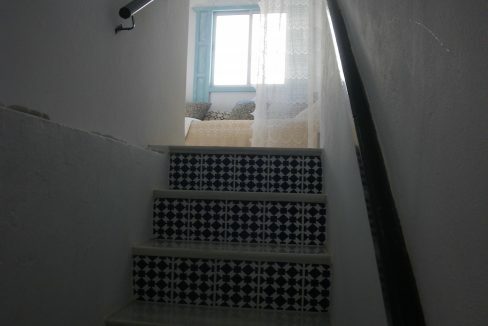 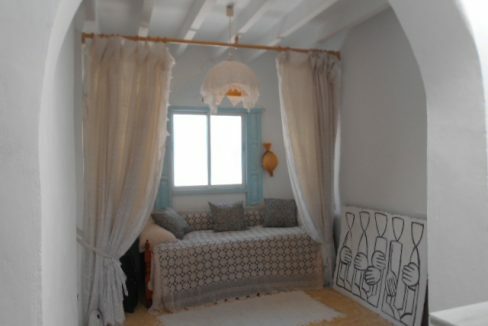 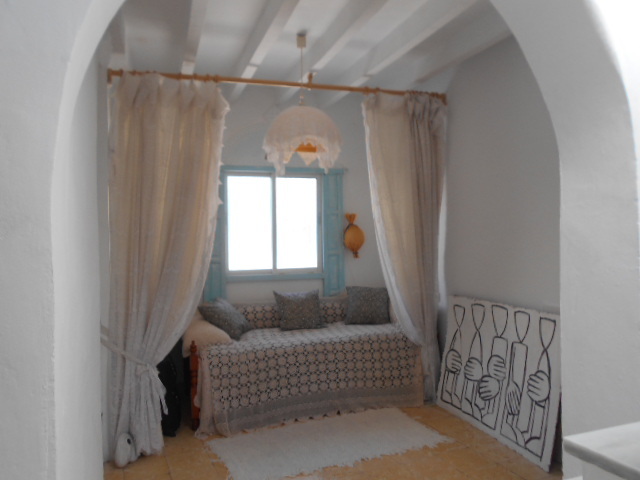 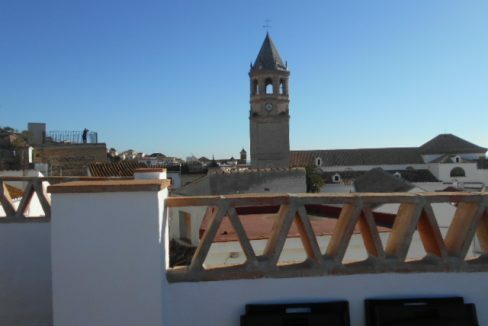 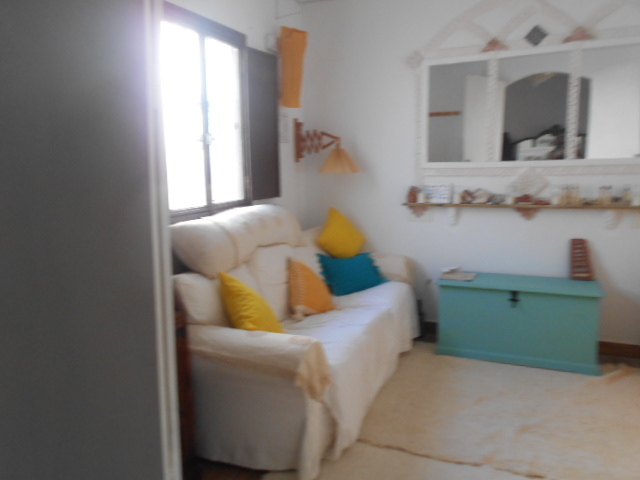 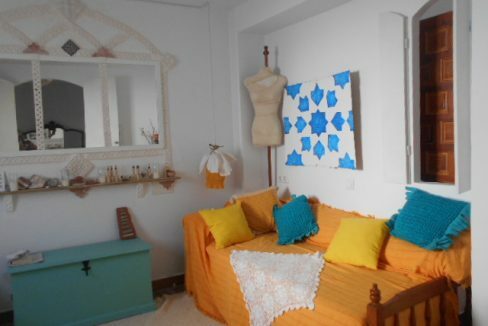 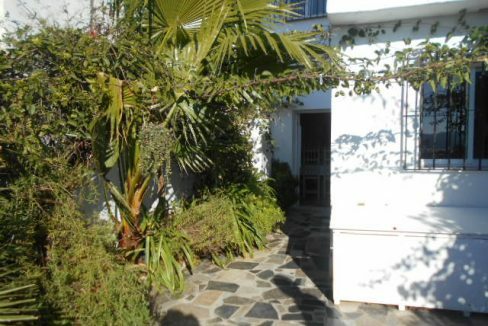 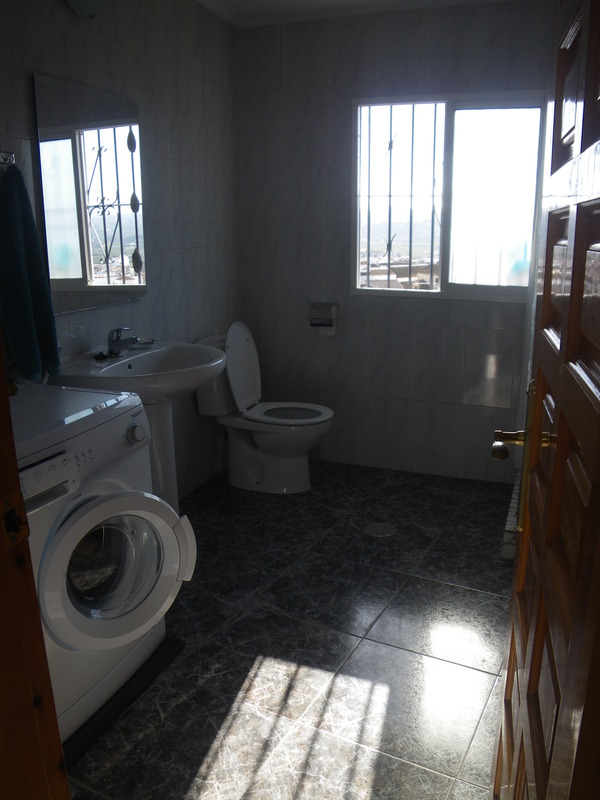 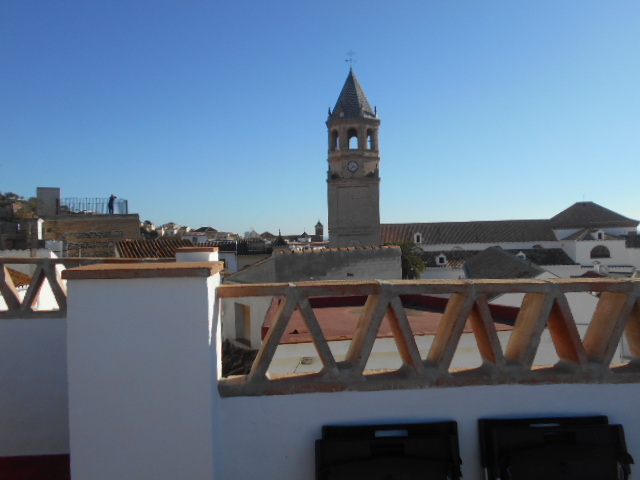 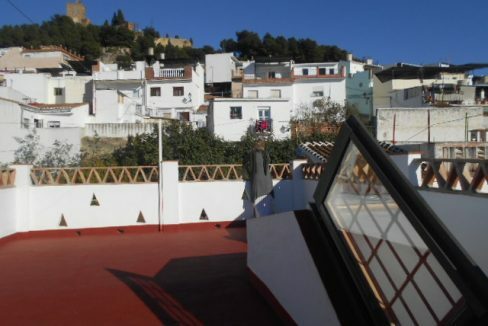 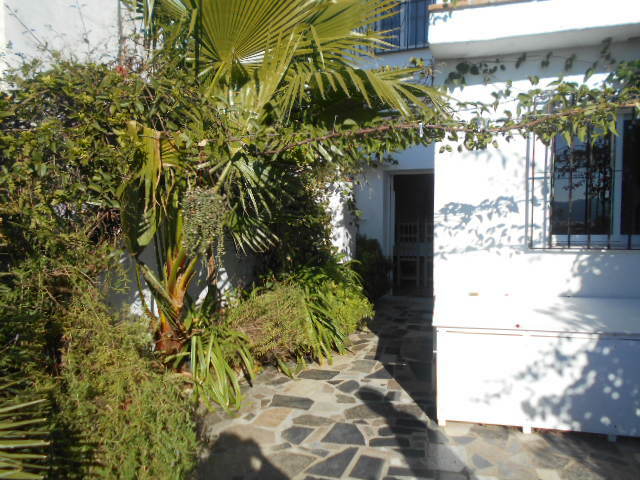 A 3 storey quirky townhouse in the centre of Velez-Malaga. 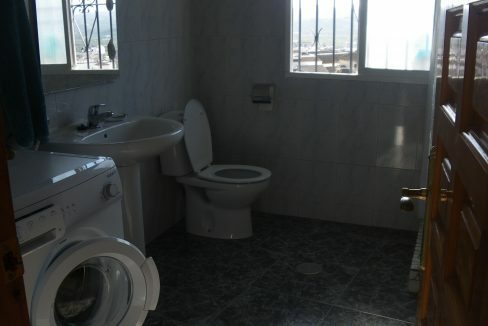 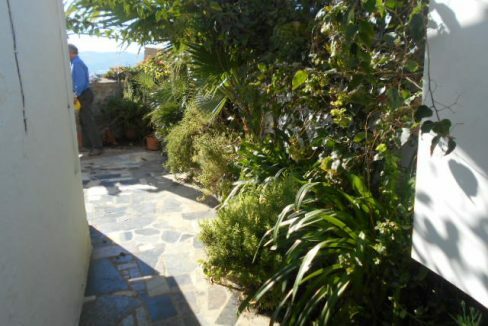 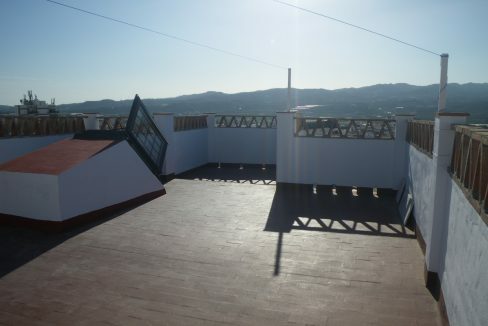 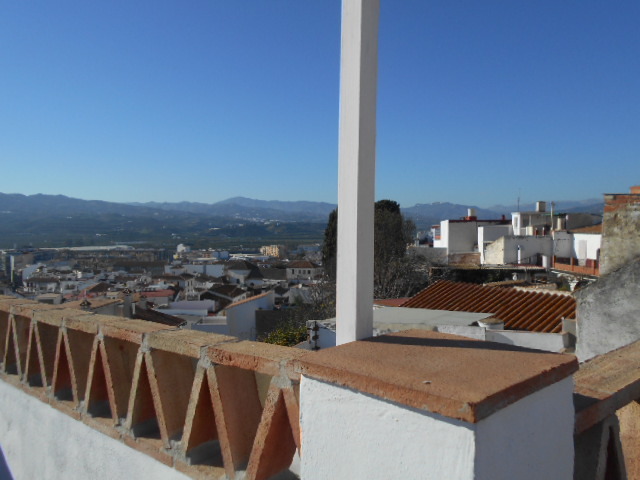 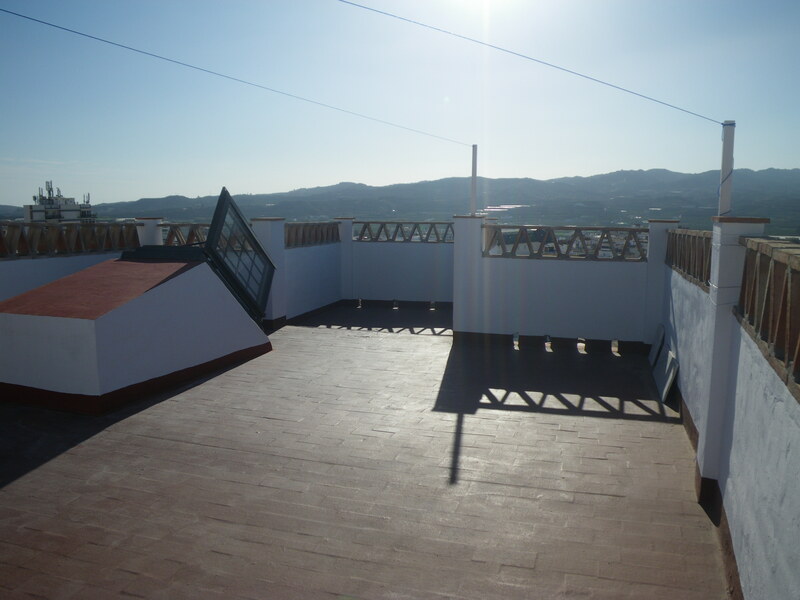 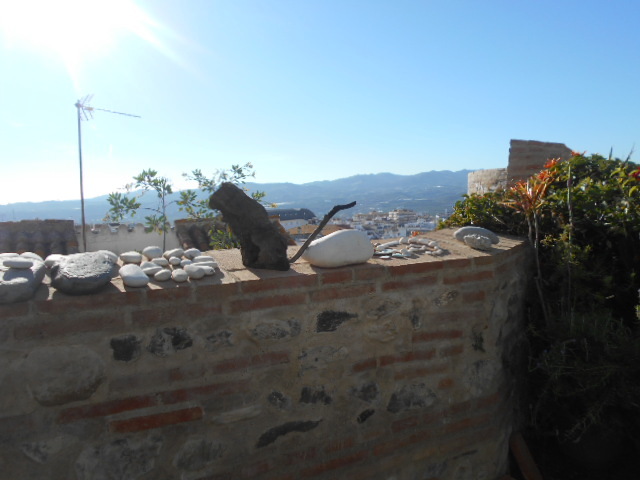 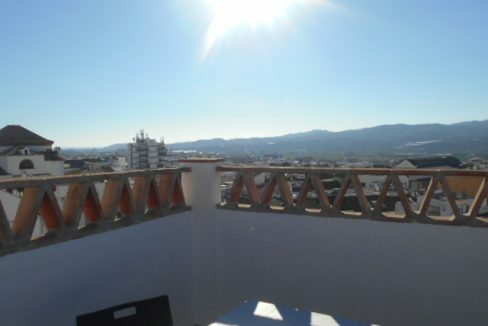 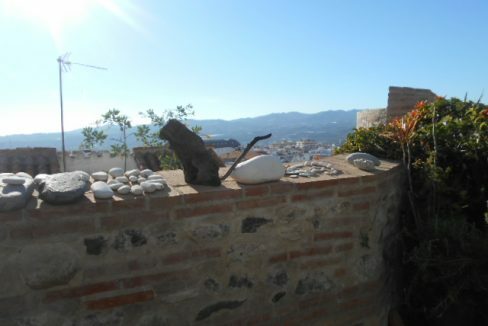 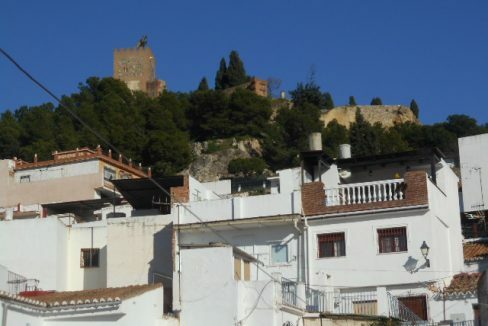 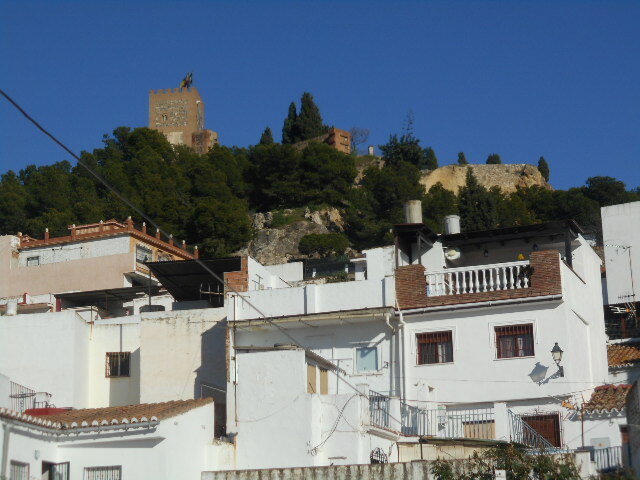 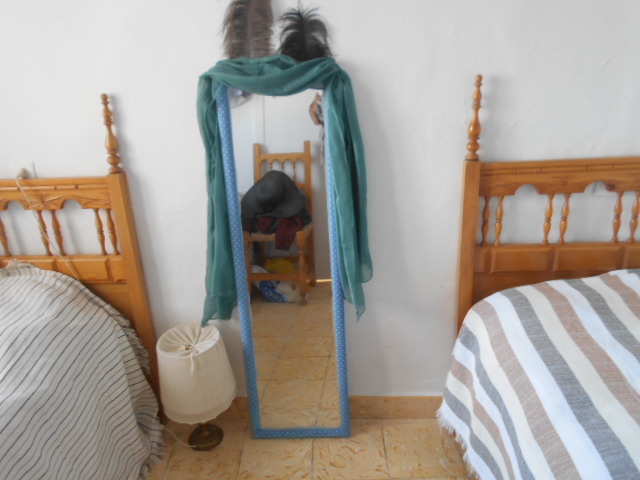 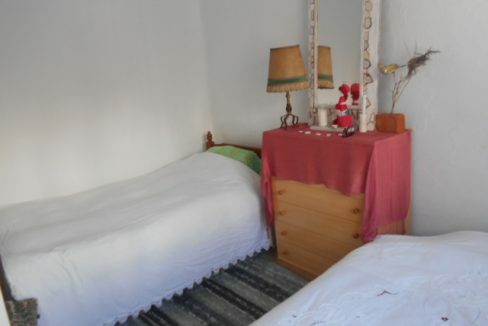 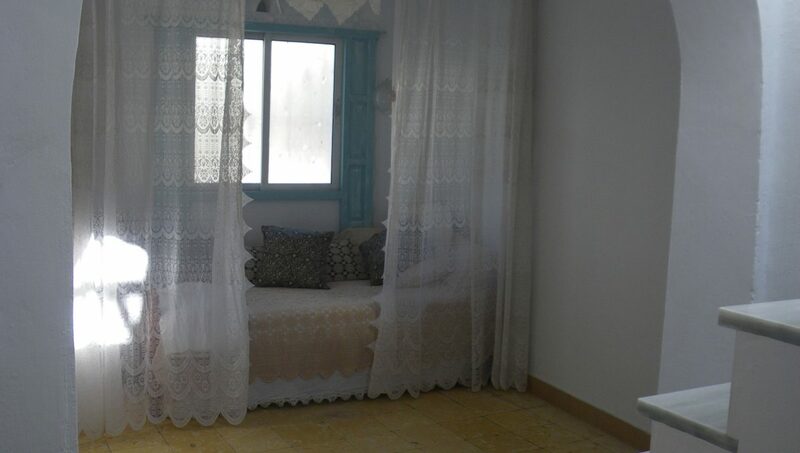 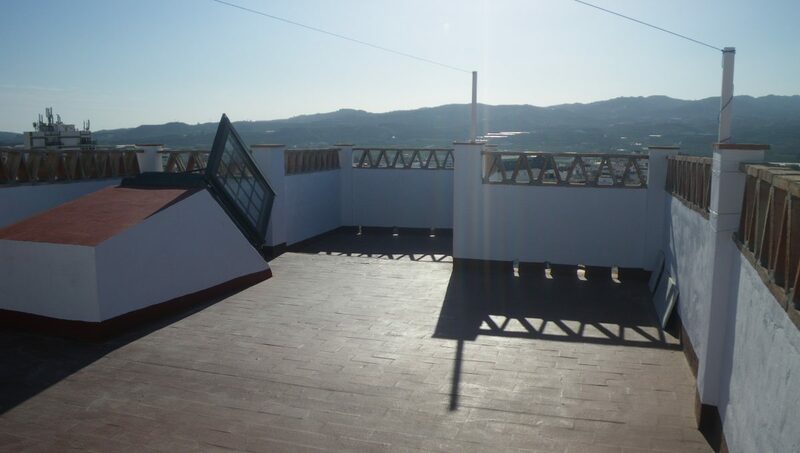 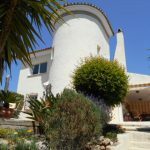 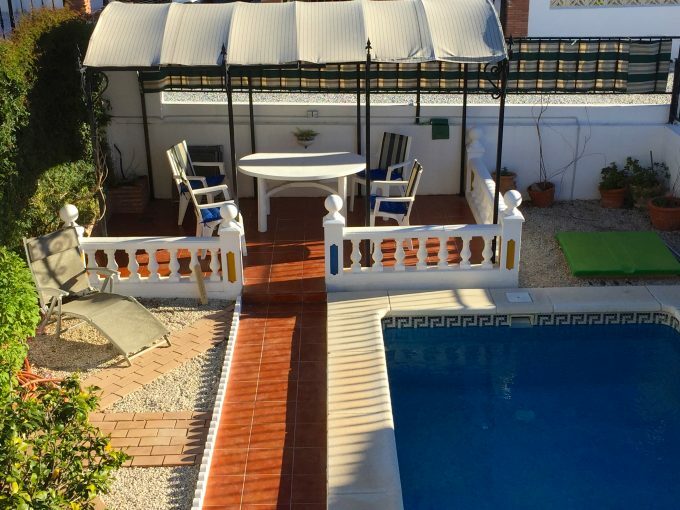 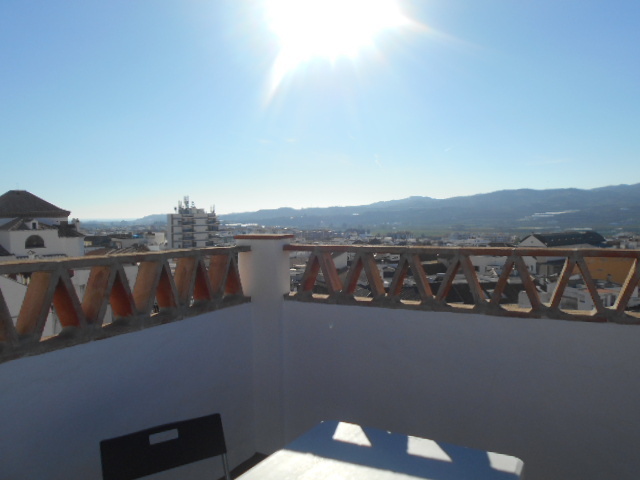 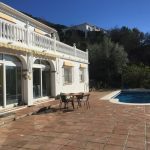 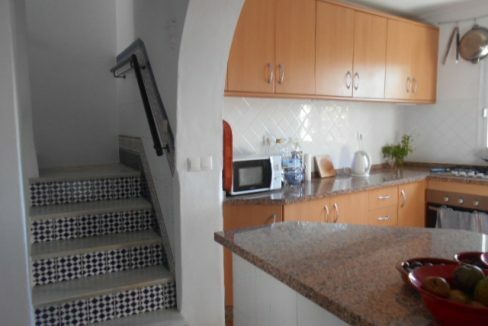 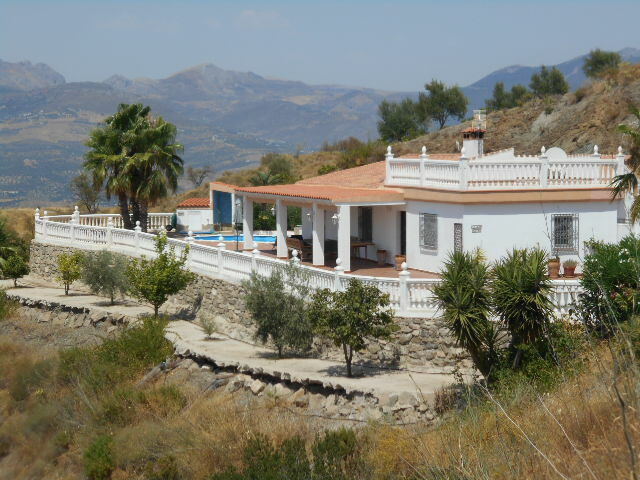 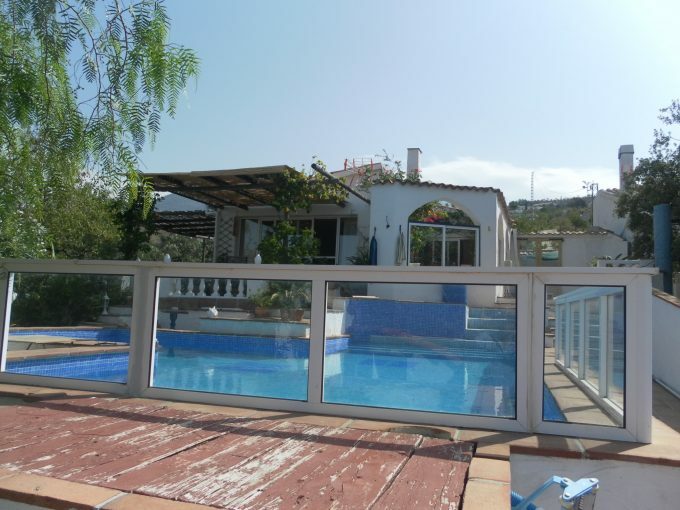 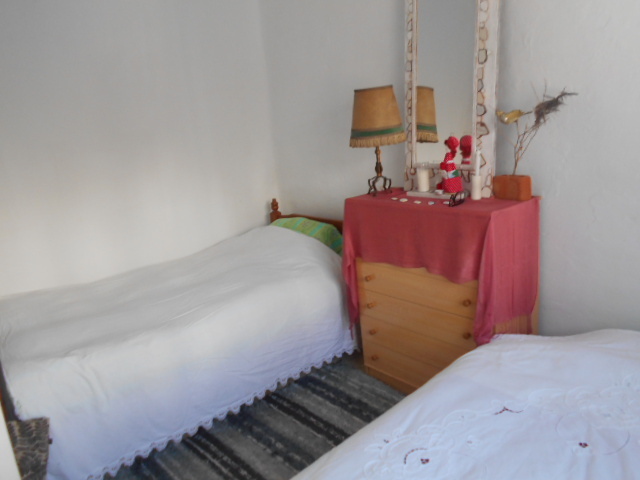 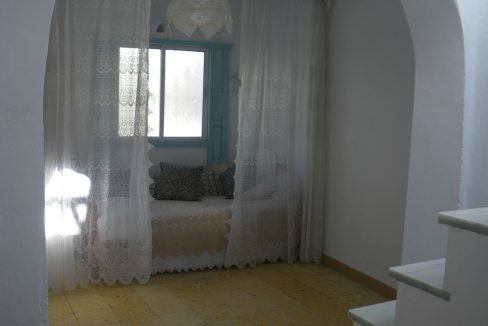 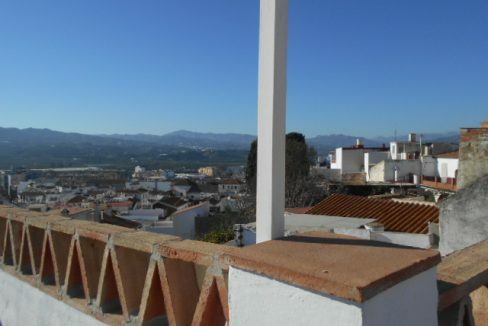 With views all round from the property to the mountains, countryside and over the town. 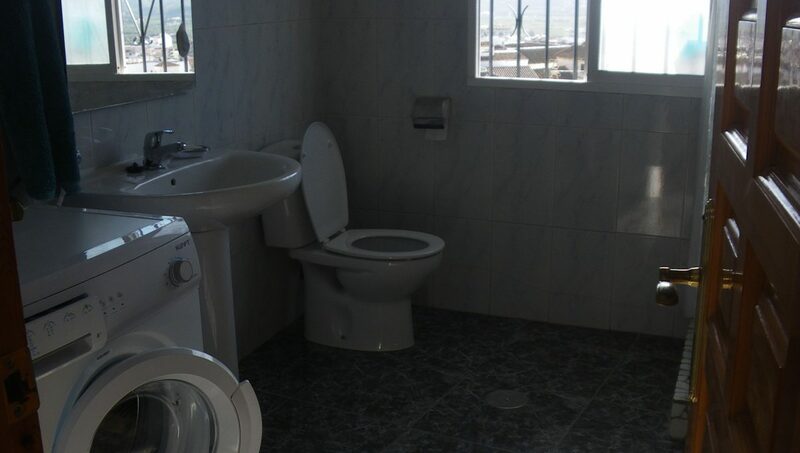 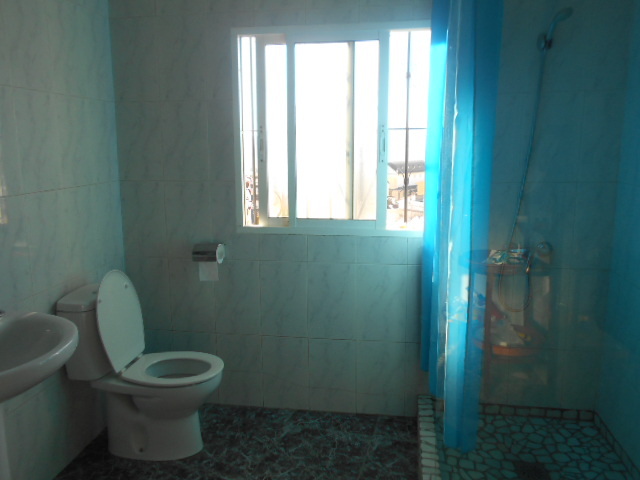 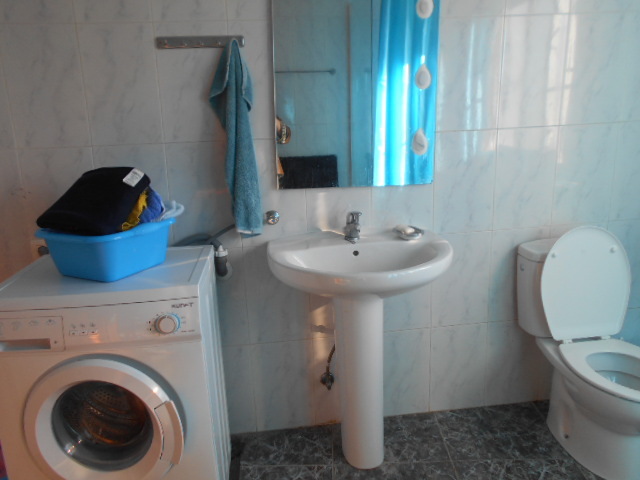 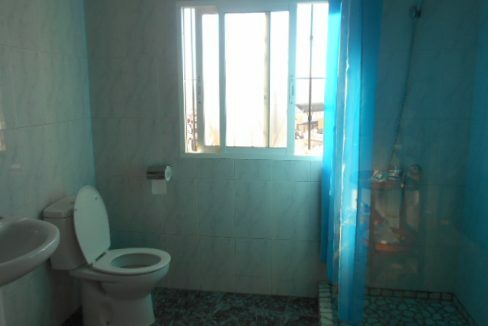 The property is close to all amenities ,bars, shops and restaurants. 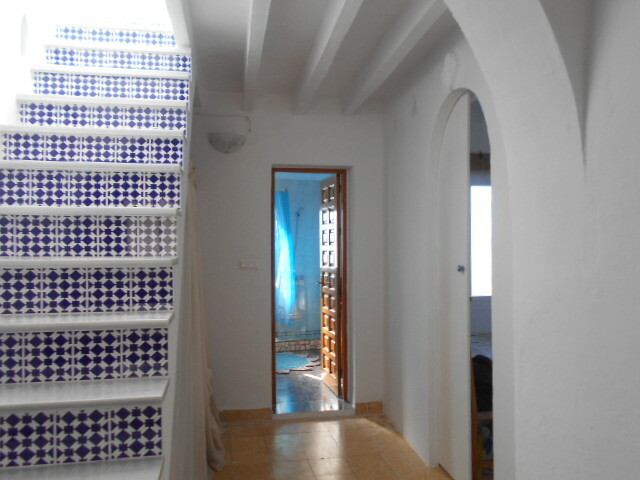 Entrance to an open dining room to a hallway and sitting room. 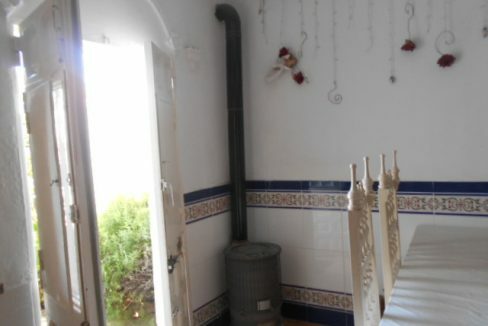 The living room has a log burner. 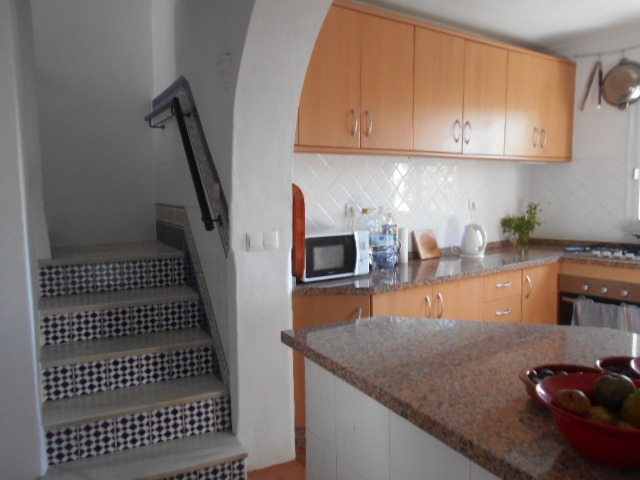 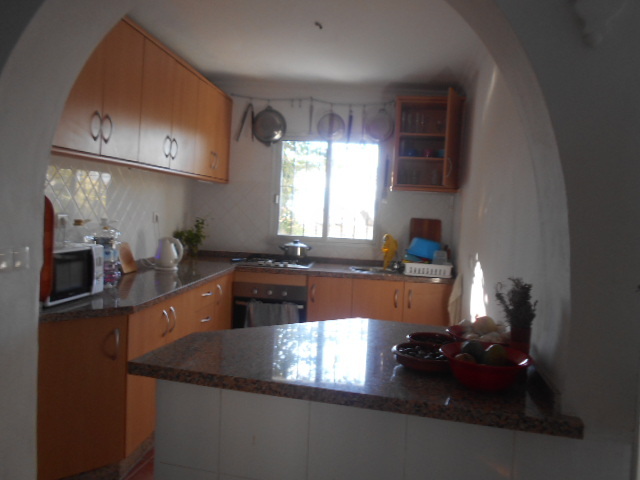 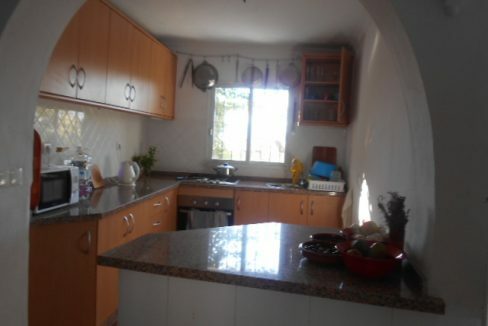 The kitchen is fitted with breakfast bar, gas hob and electric oven. 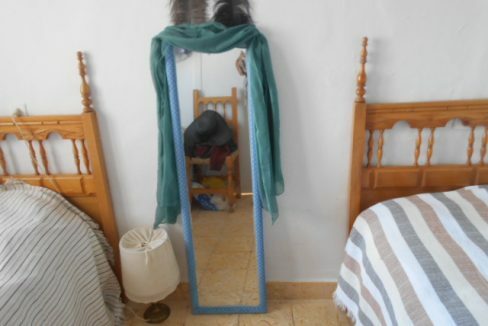 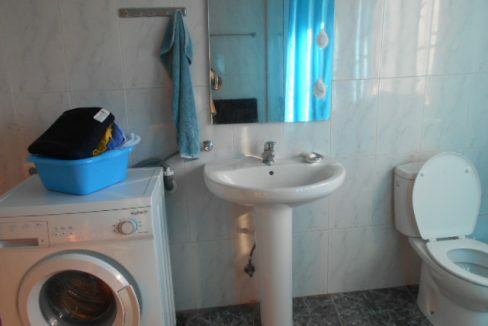 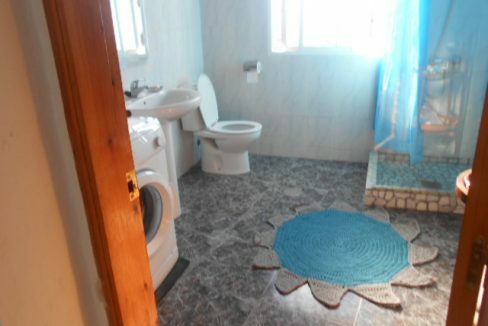 On the first floor there are 2 beds and 1 shower. 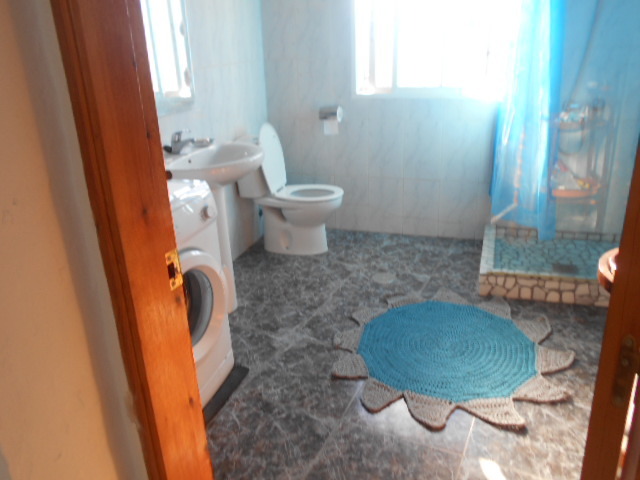 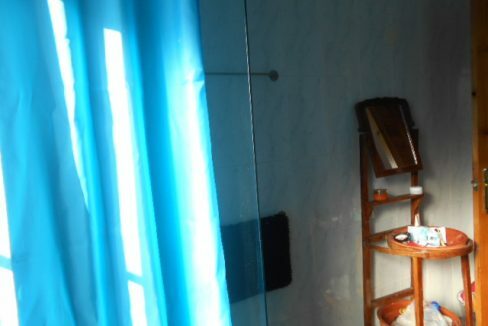 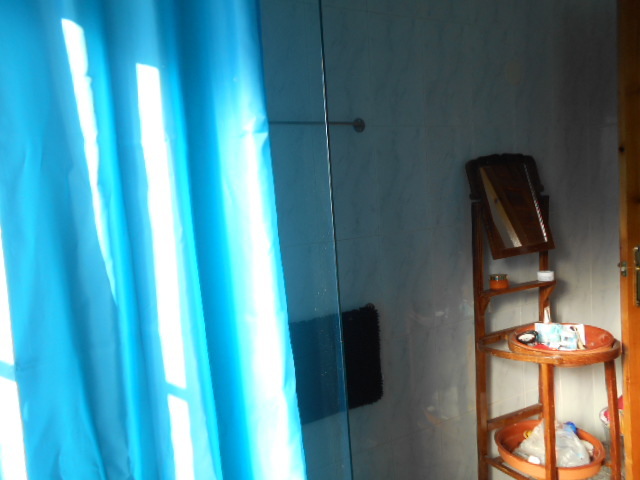 The 3rd bed is in the gallery room .There is a second large shower room with a washing machine. 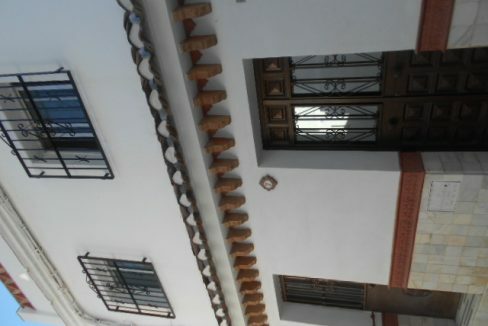 The dining room doors to the garden. 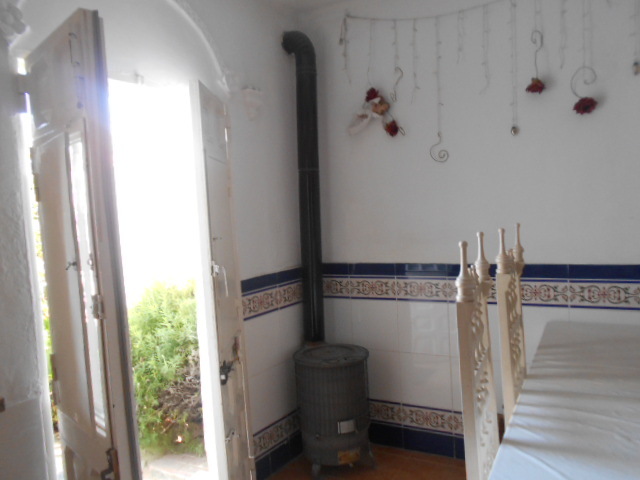 There is a log burner, Large storeroom, gated and the control heating is a log burner. 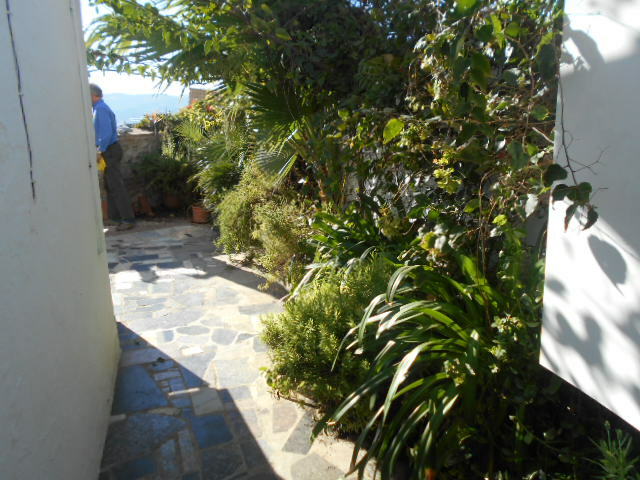 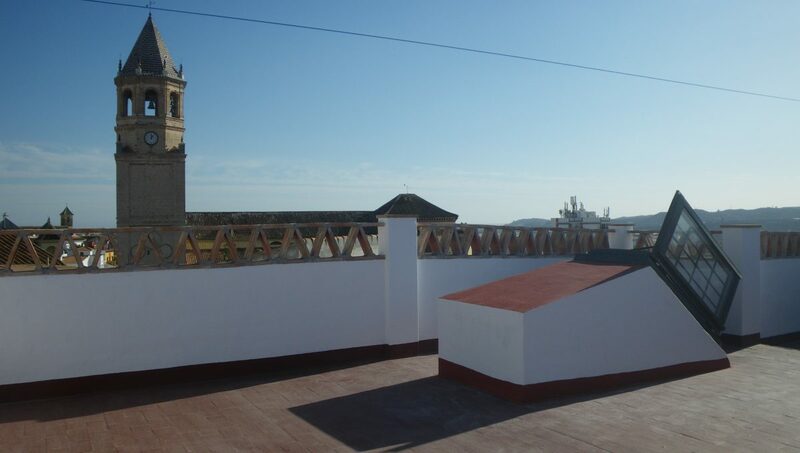 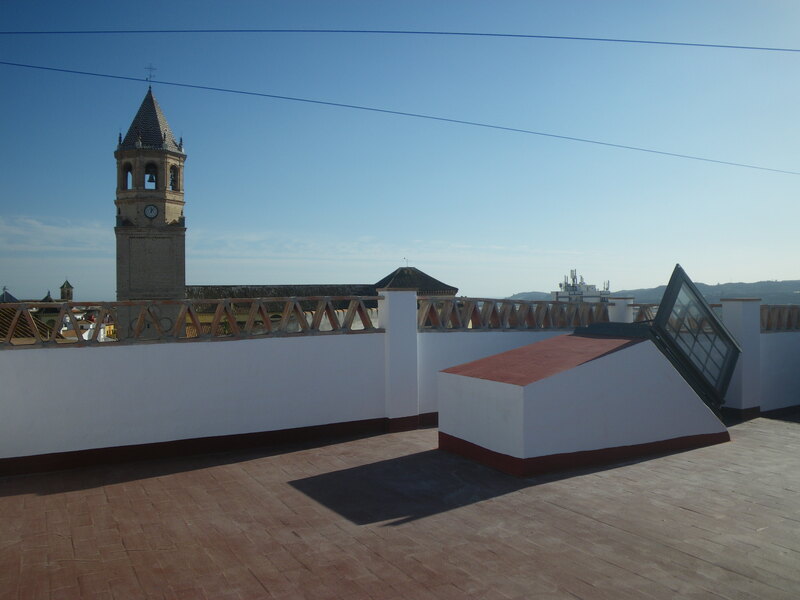 There is a pretty courtyard with plants and a large roof terrace with stunning views. 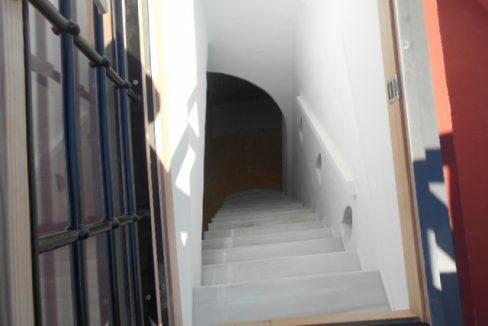 There is a wood stort. 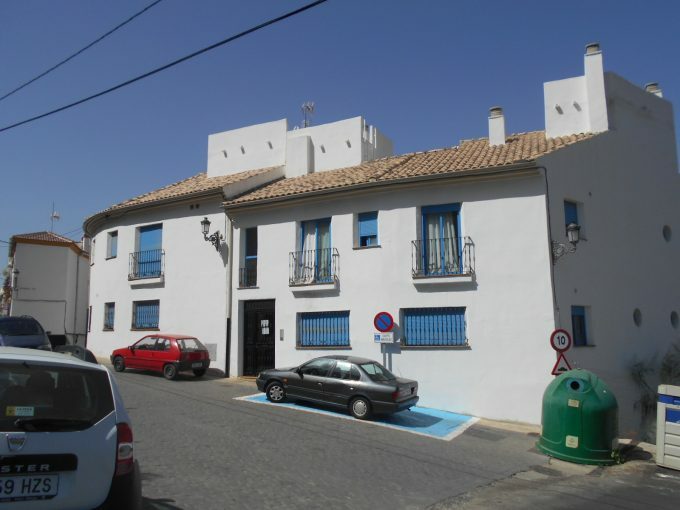 Street road parking, the build size is 100m2, approx 80 years old.